Supreme Court Judges, Justice Kurian Joseph and Justice M.B. Lokur, have written to the Chief Justice of India, Justice Dipak Misra, expressing serious reservations on the decision to place collegium resolutions in public domain, reports Economic Times. The decision was taken in October this year, in order to "ensure transparency" and had been signed by CJI Misra, Justice Chelameswar, Justice Gogoi, Justice Lokur and Justice Joseph. Curiously, as per the ET report, Justice Joseph had then objected to the move, claiming that the same is a breach of trust and is contrary to the given mandate, stating, “…you have in breach of the trust reposed in you, in violation of the mandate of the resolutions and in total defiance of the request of your sister and brother judges, chosen to upload the text of the resolutions which contained information which might violate human rights of some persons, if not other rights, who are still to continue as judicial officers." He had further written, "If three out of five of the collegium request you to have further discussions on the issue, are you not bound by such request? ... All of us are seriously interested in transparency. But should we also not respect the rights of others affected by our attempt to be transparent?... Have we not in the history of the collegium, where you are a member, made such revisits?" Around the same time, Justice Lokur had also written a letter to the CJI, asserting that there needed to be discussions on the subject and that "while no one has any objection to any transparency, issues of confidentiality are equally important and it is necessary to balance them". 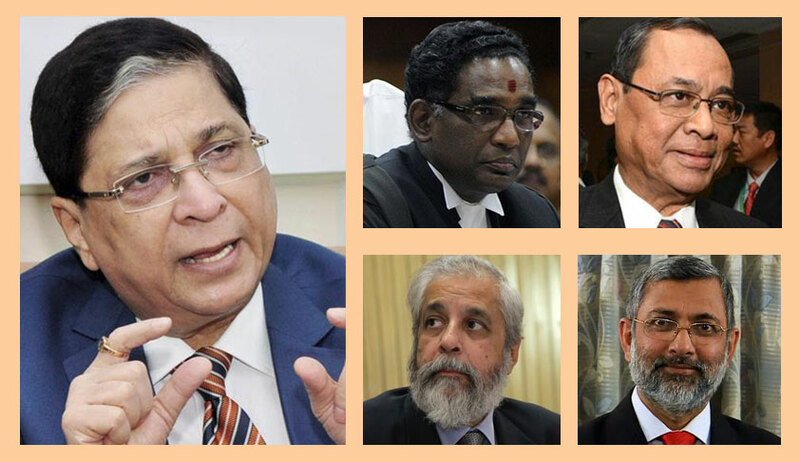 It may be recalled here that Justice Chelameswar had refused to attend the collegium’s meetings, as long as its deliberations were kept under wraps. He was the lone dissenter in the NJAC judgment delivered by a five-Judge Constitution bench. He had not only upheld the NJAC law, passed by Parliament, but had also found the Collegium system of appointments lacking in transparency and effectiveness. Subsequently, however, he had joined the rest in the consequential judgment on the Collegium, because it sought to improve the Collegium system. The Court had, thereafter, adopted the circulation method for appointing Judges, accepting the suggestion put forth by Justice Chelameswar. The method requires the collegium members to record their reasons in writing for approving or rejecting a recommendation.